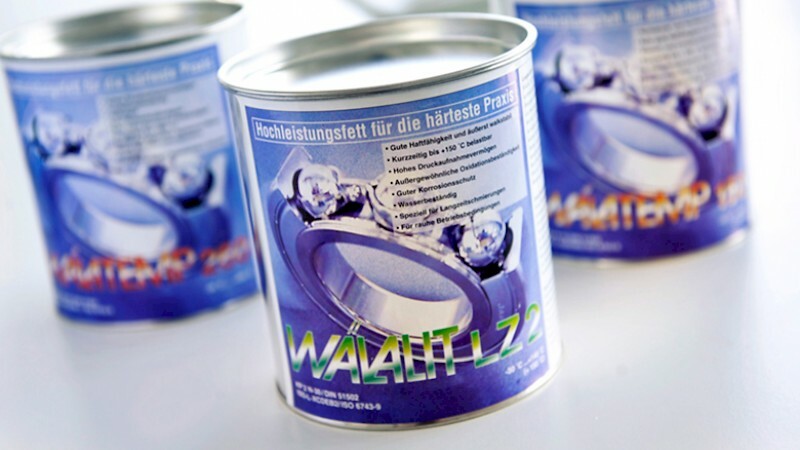 WÄLALIT stands for high-performance lubricants for heavy duty applications where standard lubricants would fail. WÄLALIT high-performance lubricants were specially developed for roller bearings, covering almost any case of application. They have proven their reliability in an impressive way in practically relevant test procedures carried out in FAG and SKF lubricant test rooms. The choice of an inappropriate lubricant or lubricant deficiencies are the most frequent cause for premature bearing malfunctions! protection of metal surfaces against corrosion. Thus, the type and quantity of a lubricant used, have an important impact on the working life of a bearing and can make them maintenance-free. High-Performance greases help to reduce energy consumption, noise emission and operating costs. Which grease I should to use?